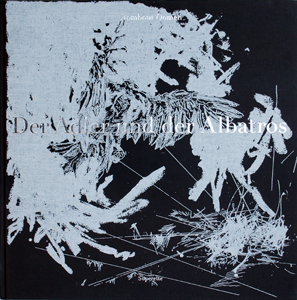 This book contains screenprint reproductions of drawings made during a working period in Berlin, Germany, during the first two months of 2009. In these months I wrote the manuscript "The Discharge". While writing my novel these drawings emerged; they seem to have no connection with the literary subject. Why these drawings? To clarify the reason of writing? At times when I stopped writing, I started drawing. I made the drawings without specific purpose or subject, but merely because of the need to create images. You can say that these drawings express freedom. The pen and oil stick drawings have only a number and no title.